We believe in keeping people safe and healthy. This invaluable mission drives our mining customers. Enabling this mission is Artisan’s top priority. These are not idle words uttered at board meetings. They reflect a guiding principle that manifests in sustainability programs and health and safety initiatives. Often these noble efforts are funded by the mining company’s profits. But now, Artisan has enabled something extraordinary. 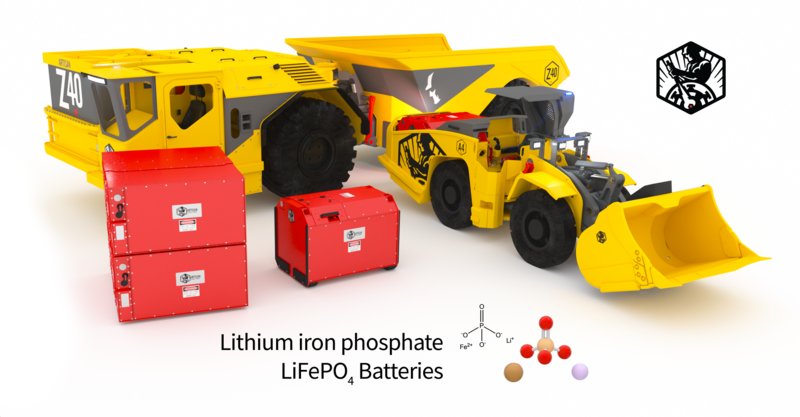 The future of underground mining is battery powered. Serving this honorable mission to improve the health of employees while simultaneously increasing the company’s production is a dream worth fighting for. As we enable more success stories for our customers, we will see an even more rapid industry-wide switch to battery powered equipment. Diesel’s days underground are numbered and Artisan is committed to accelerating its demise. Our vehicles are engineered for safety, efficency and production. Our customers’ efforts to reduce diesel emissions underground not only provide a healthier work environment, but also increase production output and reduce cooling and ventilation costs. 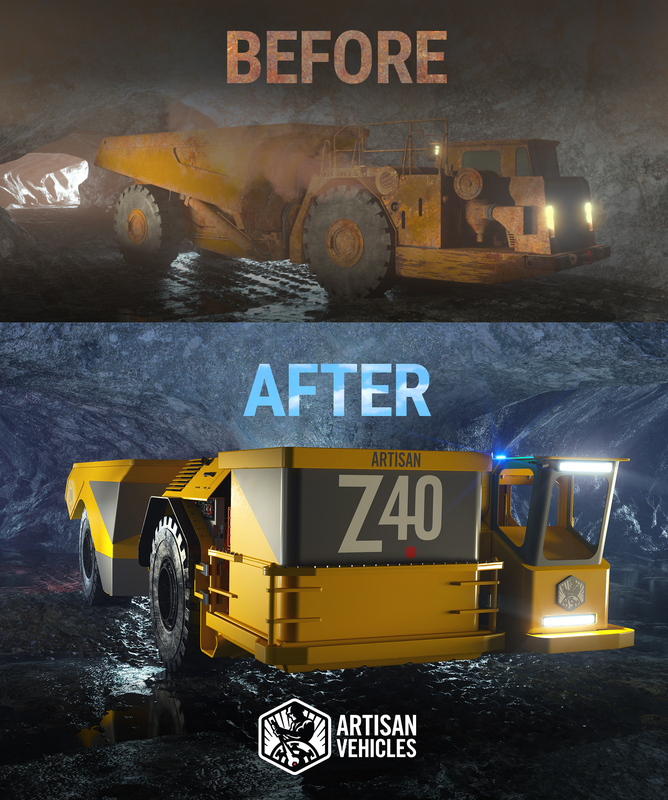 Major mining companies throughout the world are implementing Artisan’s battery powered zero emission underground vehicles to improve the health of their employees while simultaneously increasing production, revenue, and net income. We are leading the charge. We’re based in California, the heart of electric vehicle technology. We’re an original equipment manufacturer (OEM) of zero emission battery powered mining vehicles. Our core technology is our proprietary battery packs, electric motors, power electronics, software and control systems. 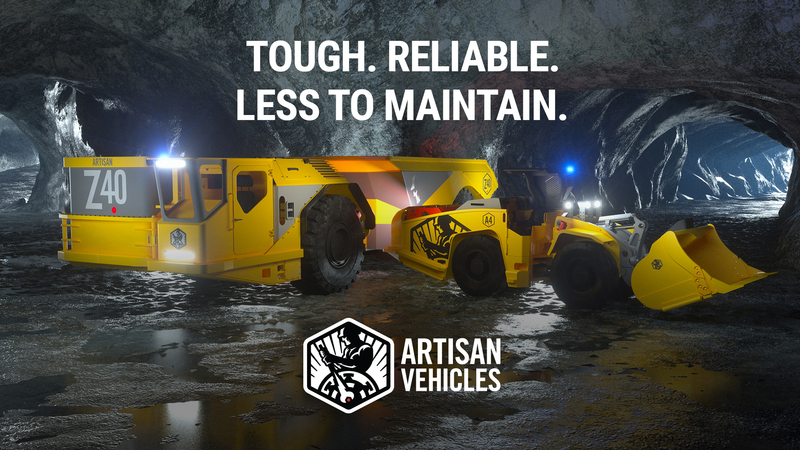 Our underground mining machines are designed from the ground up around these high powered, highly reliable, field proven battery electric powertrains.